3. That there was a threat to US citizens and therefore the invasion was necessary to restore order. 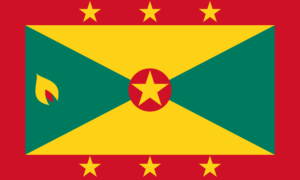 Grenada is a small island and at the time of the invasion it had no air force or navy. The US Government claimed the airport under construction at Point Salines was a military installation which was intended for use by the Government of Cuba. In fact, the airport was wholly a civil installation to facilitate the growth in tourism. The released documents include a very detailed Press Release from a UK company, named Plessy, who were one of the main contractors employed to construct the airport. In this document, Plessy explains at length the facilities required for a military airbase all of which were absent from the one being constructed. Remarkably, after the invasion the airport was completed to the original design. The released documents show that there was no evidence that foreign nationals, or indeed Grenadians, were in any danger. The UK Deputy High Commissioner met with Sir Paul Scoon who confirmed US citizens were not in any danger but went on to voice concerns about potential loss of life if there was an invasion; during this meeting, he did not make any request for foreign assistance or intervention. Bullard reported that the Revolutionary Military Council (RMC) were temporarily in control of the island after the tragedy on the fort; they made it clear that they were professional soldiers who had intervened to preserve law and order and has no desire for political power. The bulk of the US citizens on the island were students at the medical school and they were given regular supplies of food and water. Reference in the documents is made to the RMCs intention to form a broad based interim Government and hold elections within a short period of time. CHRG has documentary evidence that the RMC held a meeting with Sir Paul Scoon just before the invasion to discuss setting up such a broad based civilian Government within 14 days, and he offered to speak to some of the individuals who were proposed. In the circumstances, the legality of the invasion of Grenada under international law is seriously in doubt. CHRG now calls upon the US Government to compensate those who suffered loss as a result of their illegal intervention. Further information can be obtained from CHRG. Please see details below.